This in-stream dam on Corral Creek restricted passage for native fish. Exciting things have been happening in Corral Creek. 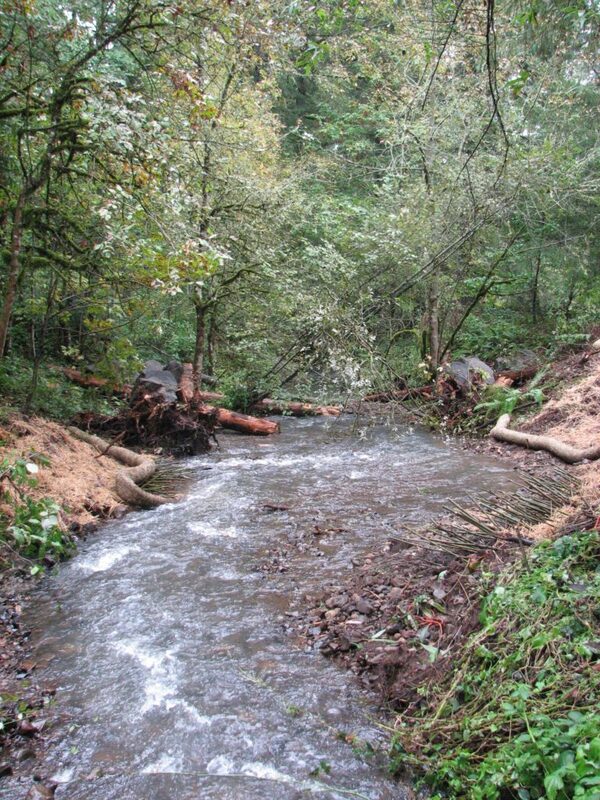 Last month an in-stream dam was removed from the creek and constructed log jams were installed. The project restored natural stream processes and re-established 2.5 miles of stream habitat for native fish including cutthroat trout that live year-round in Corral Creek. After consulting with stream engineers and obtaining necessary permits, the dam was taken apart, carefully removed, and hauled to a concrete recycler. 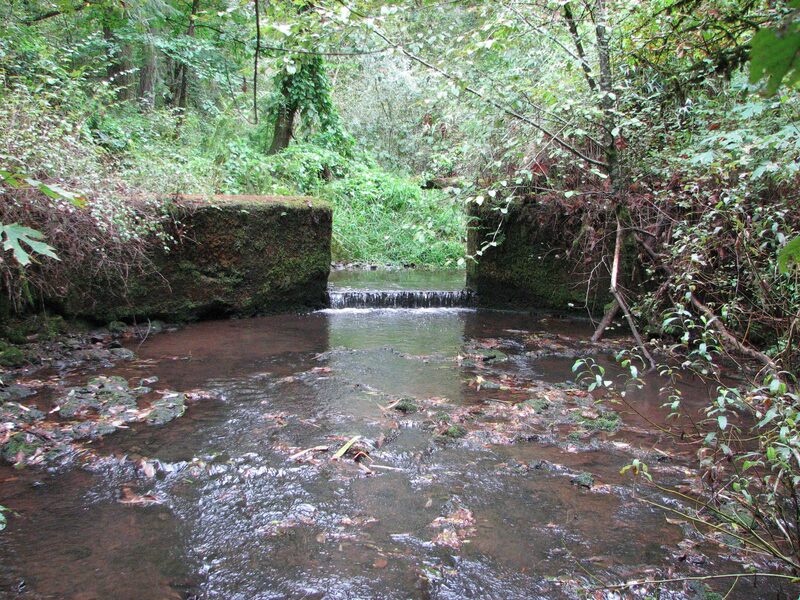 Fish passage and natural stream flow was restored. The constructed log jams will help retain sediment and gravel where it would naturally occur. The trees and boulders that make up the log jam give juvenile fish a place to rest and hide when water is high and fast. Planting native trees, shrubs and grasses helped speed the recovery of the stream banks after construction. Project completed! Habitat is restored and Corral Creek runs freely. To celebrate this project, a Corral Creek Neighborhood Social will be held at the Magness Memorial Tree Farm on November 9, 2013 from 9:00 a.m. to noon. There will be experts on stream and fish habitat, septic system maintenance, and woodlot management, as well as fun activities for kids. The successful completion of this project is the result of a collaborative partnership between the Thomsons, Clackamas County Soil and Water Conservation District, Oregon Department of Fish and Wildlife, USDA Natural Resources Conservation Service, and American Rivers- NOAA Community Based Restoration Program.